“Spiral Up: Reconciliation in Createch”, an event that examined the roles that the technology and creative sectors can play in reconciliation, was held at Enterprise Square in Edmonton April 19. It was organized by the Oteenow Employment & Training Society, Professional Aboriginal Testing Organization Inc. (PLATO Testing), and Naheyawin, a strategic communications agency that uses research, systems thinking, and storytelling to help their clients achieve their goals. PLATO Testing trains and employs Indigenous software testers across Canada. Oteenow Employment & Training Society provides human resource development programs and services to First Nations and Inuit people in the Edmonton area. The company was recently awarded $474,375 from Western Economic Diversification for its tech and creative training and employment plans in Edmonton. The project has already created seven new technology jobs in partnership with PLATO Testing, and hopes to create at least 30 more over the next three years, and was the inspiration for Spiral Up. In fact, the seven students, who will be graduating in the weeks to come from PLATO's eight-month program, have already have secured jobs, making up the first group of Indigenous software testers in Alberta. 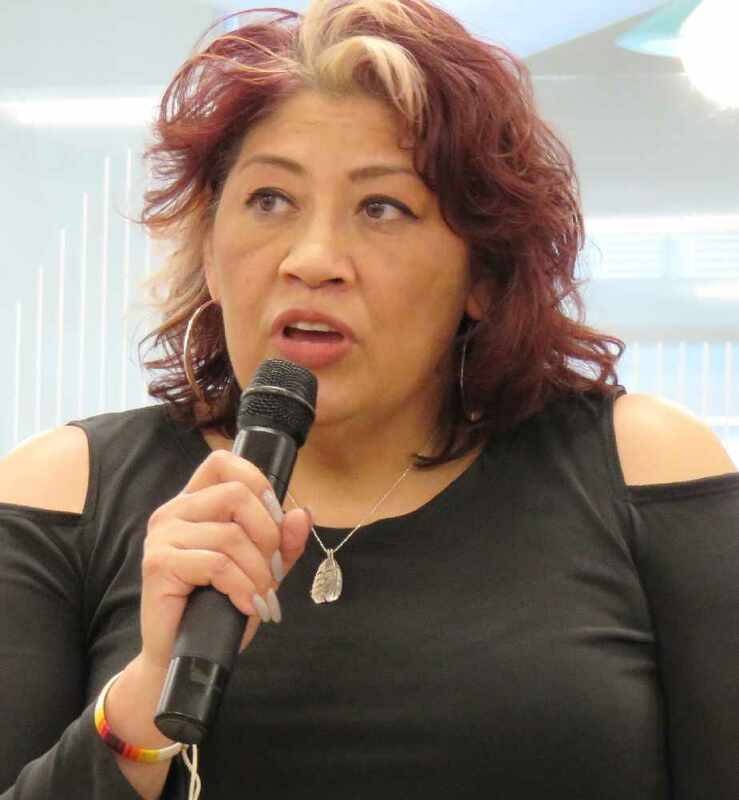 Roberta Bearhead, Oteenow Employment & Training's executive director, reached out to Cardinal after partnering with PLATO to train Indigenous software testers. “Our partnership with PLATO has been successful and is just the start. We want to help create new opportunities—jobs of the future—for First Nations and Inuit living in Alberta. It’s not just about traditional sectors anymore. The world is changing. Work is changing. And we [Indigenous professionals] have a lot to offer,” said Bearhead. Panelists at Spiral Up included Chris Henderson, strategist at Calder Bateman Communications; Denis Carignan, president of PLATO Testing; and Dr. Kim TallBear, associate professor in the Faculty of Native Studies at University of Alberta and the Canada Research Chair in Indigenous Peoples, Technoscience and Environment. Hunter Cardinal, Director of Story with Naheyawin, was the moderator. Some of the topics addressed included how to move forward, the impact of technology on Indigenous communities, and the process of Indigenous cultural change, structural and systemic barriers to being in good relations, and how to define technology itself. “Science and technology are on the front lines of the way that Indigenous people need to govern in unofficial ways. It's also been on the front lines of the colonial projects. We need to resist colonial science and technology projects, but then we can also use [science and technology] to our advantage,” said TallBear, who is a tribal citizen of the Sisseton-Wahpeton Oyate in South Dakota, and is also descended from the Cheyenne and Arapaho Tribes of Oklahoma. She referred to studies involving the politics of DNA research of Indigenous peoples and the problematic ethics surrounding this practice. “Technology is opportunity; opportunity for change socially, the opportunity to change our economy. We have to look at that opportunity, and look at how we approach opportunity as Indigenous people,” said Carignan, who is from the Pasqua First Nation in Saskatchewan. Henderson gave advice for allies dealing with these issues to “admit you don't know much and get a mentor”, and work towards integrating Indigenous teachings. Approximately 50 people from a variety of sectors and backgrounds attended the event.